In 2017, thousands of citizens from Sweden were turning on coffee machines and their cars with a wave of their palm. Was this the Fifth Element? What even was this sorcery? As sci-fi as this sounds and something completely out of Doc Brown’s inventions from “Back to the Future”, the fact is the technology originated from an RFID (Radio-frequency Identification) beacon that uses electromagnetic waves encased in silicate vial and can be implanted in the body of human beings. These microchips are passive and do not require batteries or power sources to operate. The number of implants in humans which is individual-specific are ever so growing and it might seem like a dawn of the cyborg era. 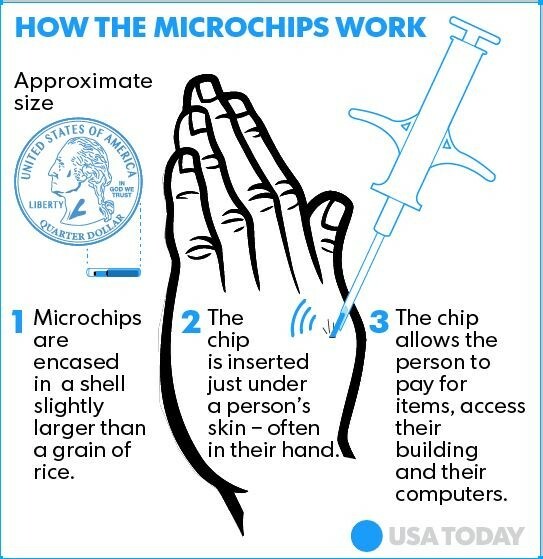 However, what are the impacts that these microchips have to offer? Embedded RFID implants are going from technology enthusiast novelty to a genuine medical tool. Imagine during a medical emergency with an unconscious patient, how can a doctor make intelligent decisions on what medication to provide without a knowledge of the patient’s history? An RFID implant can be the ultimate solution as it enables quick access to a patient’s medical history, allergies, potential drug incompatibilities to avoid adverse drug effects, eliminate diagnosis error for surgery and enable tracking of patients with Alzheimer’s and Dementia. It is obligatory and this correlates with the common good approach, the view that highlights the specific aspect of society and emphasises compassion and respect for others, especially those who are more vulnerable. Furthermore, the concept of utilitarianism, which promotes greater good and does the least harm for most people strongly supports RFID’s application in a medical setting as anyone requiring medical attention will benefit from it. The notion of functioning as a walking public transport pass can be rather lucrative to some. Imagine never having to undergo the ordeal of catching your train in a sweat, only to find that you forgot to collect your tickets from the self-service machine or to download your e-ticket before boarding. Sweden’s national railway company SJ is currently a world-leader in enabling their customers to validate their travel just by getting their microchips swiped. Existing identification cards, passports, driving licenses all contain microchips and there would not be a massive infrastructure change as hands would be scanned instead of documents. Beach clubs in Barcelona, Spain, also adapted this technology and microchipped their VIP members. RFID implants can be connected to bank accounts and this greatly increases the convenience for their members to ensure they keep track of their purchases and even pay for their food and drinks. The ability to make payments and grant self-access to homes, offices, and gyms by simply a wave of the hand could make the user perceived as slothful. Nevertheless, why shouldn’t we embrace these benefits that can lead to a more convenient life for humans in the future? One could argue, using ethical egoism, that an act is moral when it promotes the individual’s best long-term interests.The theory postulates that as long as there is self-interest, it will induce self-respect and thus respect for others. If each person had the desire to improve oneself, then, as a collective, these actions would be working towards a better life for everyone. The exact health and safety repercussions in humans due to these implants are still a mystery. However, there are speculations that RFID microchips could yield adverse effects on the human body through infection, radiation, and cancer. A study showed that RFID chips caused malignant tumours in some lab rats and mice. Therefore, these uncertain harms can be against the principle of Health Ethics of non-maleficence towards a person. The nature of RFID enables local governments and police to locate and track the citizens who carry the chip through a reader. It could even be used for employee monitoring, which is against the human right to bodily integrity, and violates the universal law of 8 hours of work. In India, the implementation of the biometric tracking system on teacher’s attendance faced strong opposition by the professors, as it seem as disregarding a highly respected profession. Since the chip usually contains personal data for automatic identification, Mark Roberti, the founder and editor of RFID Journal, mentioned, “passive RFID transponders generally lack the capability of encrypting data that will be transmitted to a reader”; thus, identity thefts can be performed easily as access to individual’s data is wide-opened. In this era of big data, personal information encoded in the implant will generate a large potential benefit to companies for decision-making. If the payment technology is integrated into the microchip, transaction data can be analysed by companies to improve marketing strategies. ‘The Rights Approach’ derived from ‘The Duty-Based Approach’, emphasises the faith that all humans have a right to dignity. According to a report published by the ‘European Group on Ethics in Science and New Technology’ (EGE), RFID might constitute a risk to human dignity by disrespecting the autonomy and rights of individuals. Why? Imagine the day your personal history, location, and even habits are all traceable but not just by yourself; this is a violation of one’s autonomy and dignity as you are being watched and one should not be judged! The EGE views the implantation of electronic devices in the human body as necessary to achieve the improvement of quality of life. This is parallel to the duty-based ethics approach as the implants are obligated to produce a higher standard of living. One could argue that using these chips is supererogatory rather than obligatory, meaning that it is right to use it for better living but not morally wrong if it is not utilised. If governments pass a rule that it is mandatory for RFID microchips implants in people, then this obligation is against the human’s freedom of choice. Having said that, we believe that the benefits of RFID microchips are worth pursuing despite its shortcomings. The arguments for the use RFID within a medical setting is convincing and in the given context would certainly be morally right in terms of common good and utilitarianism, however as with all medical related technology, security is a major concern and as identified RFID lack the ability to encrypt data. This inevitably leads to the argument, would the use of RFIDs actually be morally right in a medical setting, would they actually be for the common good and benefit the majority or would they in fact be harmful and expose patients to even greater risks? The main argument seems to focus on convenience, which does align with ethical egoism. Very similar to the concerns of RFIDs use in medical settings, is this actually in the individuals best interests if it would expose the user tracking by companies, identy theft and more targeted marketing? As has been demonstrated with recent scandels such as the Cambridge Analytica scandal, there is currently an explosion of technology which does produce a higher standard of living however at a significant cost; which in many ethical frameworks suggests the use of of the technology is morally wrong. The RFIDs, as with most tools, do not appear to be morally wrong in and of themselves and in fact could be very beneficial. Recent events would suggest that the implementation of this technology now, without appropriate legislation and safeguards, would be morally wrong as without this many of the arguments for it being morally right in common good, utilitarianism and ethical egoism frameworks quickly fall down. Really interesting article and a very important topic of discussion in the modern world society. You have raised some really good points in your work both in terms of advantages and disadvantages. On one side, the use of this technology could be very beneficial since it would add an extra ease in the modern busy life of human kind, since with just a swipe of the microchip you could easily gain access to your house, computer or even process payments with minimum effort and hassle. Also, the accessing of the medical history of a patient is a really important benefit of this, due to the fact that diagnosis of the condition that might have caused for example someone fainting is far more rapid than the existing methods. On the other hand, the risks associated with this technology are extremely challenging. What will happen if someone hacks the system and gains access to everyone’s personal data? Is there a way we could make sure that the latter would not be possible? If yes, how we can be sure of reliability of the organisation (e.g government) in charge of holding our personal data? Moreover, since with this technology is a possibility that people could easily track your down and know your exact location will cause people having second thoughts about implementing this. Coming from someone who had no previous knowledge about RFID chips, this article was very informative. The use of all these chips seem to make your everyday routine much easier and could help you save up a lot of time for more important things, however the only drawback seems to be the fact that their long term affect on the human body is still uncertain. The fact that these chips have proven to cause cancers, tumors etc. on test subjects clearly indicates that these chips are still not ready to be commercially sold. However, if scientists and engineers were to spend more time on improving these chips and coming up with a solution to the health aspect of the chips, then I personally believe that RFID chips would be something the whole world would look to investing in and making them a must have in the future. This day and age is all about innovation and developing creative solutions to dilemmas in order to make our daily lives easier. This article is the perfect example of how an RFID chip can revolutionise the medical industry and how the same technology can be applied to the transport industry as well. As a student studying engineering I can clearly see that there are plenty of pros for the proposal, however, I believe that this technology is still new and that it needs to undergo serious testing with different applications before such a system is launched. Nevertheless, I found the article to be very captivating and not too technical. Interesting topic and very good argument for both sides. Personally, I would be against implantation of RFID chip. Although it is very convincing how it makes our daily life much easier and less hustle, having a chip in your body does not sound appealing at all. With all your identification, access to bank, and personal document in one place, it invites more risk of losing everything at once if the data are corrupted, wiped or copied. Most application of RFID are for tracking purposes, meaning that if RFID is implanted on human body, our daily lives could easily be tracked by others, people with bad intentions, government etc. which I believe would not be the favor of most people. The question is do we really need RFID when technology nowadays (smart phones,for example)are already making our daily life convenient enough. Now that one of my favourite aritsts sting has been quoted, I am very much a heavy weight on the negatives implications of this technology in the current scenario. There is no doubt data is the golden asset to monitoring more possible solutions for larger health issues and I would very much support the use of the tech for such causes. However, the challenge we face as a global community is the concern over its ethical use as has been highlighted very well in the blog. At present there is no well defined guiding policy which irons out what is acceptable and what isn’t and unless an elected unbiased group of data &health industry stalwarts are brought together to put the right filters on how companies can or cannot use personal health data, I really don’t see this tech scaling up that easily and rightfully shouldn’t. This is a very interesting topic with the pros and cons clearly laid out. Personally, I am for the use of RFID chips, however, I believe it requires much more work and optimization to remove health implications and problems to do with security. It cannot be called an easier or revolutionized lifestyle if the product is causing significant problems to the user such as cancer and identity theft. However that being said, I still believe that the benefits outweigh the cons if the technology can be improved, which it is inevitably will, given time and research. This novelty idea could be revolutionary in this industrial age. This technology could solve many first world problems and it can also help us to be more environmentally friendly. However if this idea becomes a reality, it could also introduce new problems to our society. Cases of identity theft will increase and more health problems might arise in the population due to the RFID microchips. In this technological age, where privacy has become a rare commodity, this is a problem we do not need. Thus far, the negatives outweigh the positives so I don’t see this becoming a reality anytime soon. On the other hand, if more research is done to make the microchips safe for human use and secure so that it cannot be hacked, this idea could prove to be useful. With that being said, no government body should make it mandatory for its people to have the microchips implanted in them, as it is ethically wrong. At the end of the day, people should be given the choice if they are on board with this idea. The article discusses the topic of the implantation of RFID through human skin. However, I am not on the supportive side even after reading the article. As mentioned in the article, it is unknown for the further reaction between the human tissue and the chip which may cause some side effects such as radiation and infection. It is undeniable that inserting the chip leads to various benefits and enhance convenience in terms of payment. Despite that, the possibility of violation for personal data raises huge concern for me and the fact for the high possibility of misused personal data further discourages the use of RFID chip. Further research on health implication should be implemented and regulation on security should be discussed with related authorities. As someone who was not aware of RFID microchip implants before reading this article, I must say I have learned a lot. I am personally in favour of this technology, as I am typically on the side of progress and using new inventions for the common good and to simplify our lives. I already use my mobile phone for payments and storing tickets, loyalty cards, etc., and I would say that RFID can take this a step further and make everyday tasks even more convenient. You could also say that there is a potential environmental benefit if a large number of people use this technology instead of printing countless tickets and passes, as well as using plastic payment and ID cards. Additionally, there is the benefit of potentially better commercial services and medical care due to seamless access to personal information. The article mentioned that the technology can be potentially dangerous, as has been shown in clinical trials in rats and mice. Although this does not always reflect the response of a human body, it is nevertheless a concern. Having said that, many technologies we already use are potentially dangerous to us. Processed foods we eat every day have been shown to be carcinogenic and automotive exhaust emissions have been causing the air we breathe to be polluted and toxic. Is it unfair to hold new technologies to a higher standard of safety than what we currently use? I’m not sure, but I would like to see more evidence of how RFID affects our bodies before I commit to using one. Interesting article. As a medical student, I can appreciate how RFID microchip implants could revolutionise medicine. However, this could potentially be breaching patient-doctor confidentiality which is of utmost importance in healthcare. RFID microchip implants undoubtedly have several benefits, however, I think proper regulation should be in place before this is used in practice. Very interesting article with concepts, pros, cons and ethics laid out well. I was not aware of this technology and the fact that it has already been implemented in certain cases. Although showcasing a plethora of advantages that could benefit many, the converse arguments seem to outweigh the positives, at least for the general populous. The era we currently live in values privacy more than anything else due to rising security concerns and display of personal information available for almost anyone willing enough to access. This technology may face many drawbacks and difficulties before a proper, widespread implementation can occur which raises issues of cost and whether it would be worth funding to overcome these obstacles. However, almost all technologies that have been developed have had problems yet they are still used commonly worldwide. If security was almost impossible to bypass, or if protocols and regulations could be placed, then RFID technology and biotechnological implants could be more widely used than most other technologies due to ease of use. Really interesting article! I had never heard of this technology before and you put forward a lot of arguements for and against that I wouldn’t have thought about – especially the issue with privacy which is really concerning. I think if this technology can be used safely (i.e. without a risk of cancer etc.) It would be really really useful, more so in terms of medicine but I would be lying if I said I wouldn’t find it much easier to pay for things with my hand than rummaging about for my card. What worries me is the potential that these implants could become enforced, and people might not be able to shop at certain places or access certain areas without the implant. An interesting article. There are clearly benefits to the technology but also the concern that other agencies could make use of it too. Whilst I see no benefit to having an RFID tag in my hand that can switch on a kettle when my hand is perfectly capable of doing that already I do see the benefit of allowing medical personal access to my medical details in an emergency. In terms of surveillance by government agencies there is a parallel with mobile phones, in that most of us carry devices that are linked to us and as we move between cells our movements and interactions can be tracked. So, perhaps that is the main question, should devices we choose to use be used to monitor our behaviour. I found quite a lot of high level technical terms being used. Good. But what is the bottomline issue? Is it the question of ethics/safety/health vs self convenience/modern easy tracking/ control etc. Have to seriously consider infringement of personal biodata and tracking against one’s will and consent. There can also be mismanagement of info. There are enough action movies to depict the danger of being tracked. Bourne Identity series is one if them. But I think this technology will be implemented anyhow and would continue to develop as how mobile phones developed over the years into a pocket computer. There is no stopping. It will give governments absolute power over the people. But we must find a way to neutralise or safeguard our personal data that we don’t want to share. It’s a losing battle though. The idea of making human life more convenient is always nice. However, this article provided me with more information on the disadvantages compared to the advantages of the RFID microchip implant. I would not agree to have a microchip embedded in my body just for the sake of immediate convenience. It might be convenient to have a microchip implant for a short period of time but ultimately it will cause inconvenience due to the adverse health effects. There does not seem to be any other benefit with having this implant in your body besides convenience. In fact, it would be more convenient for hackers to steal personal information from the RFID microchip. It would be foolish to risk our health for what little benefit this microchip has to offer. I believe that there should be more research done to investigate the different mechanisms of applying this technology. There is definitely a better way to increase the quality of human life than embedding a foreign object in the body. This article is very interesting with both sides of the argument being clearly laid out. I really liked the flow of the arguments and how neutral it was to clearly show all aspects of the topic. Personally for me, I am against the usage of this because I feel like the technology we have now is not mature enough to be able for the chips to be use as intended. Data breach is a serious topic currently and without a way to segregate the data and it’s intended usage, I feel that it’s an ethical violation that should be dealt with before it can be correctly implemented in our society. This is a very well written article that has covered the pros and cons of using an RFID chip. From the perspective of someone who has never encountered this topic, the article was very educational. I believe that this chip will ease one’s lifestyle in many ways but the long term effect on one’s body is still invisible, but with more tests and refinement of the product, I think the chip has a potential. This is a topic that should be looked into as it is very thought provoking and inspiring.